It’s my sister-in-law’s birthday tomorrow which means one thing in our family: Red Velvet Cake. Since Red Velvet Cake calls for buttermilk, I like to maximize my ingredient usage. Therefore, scones are always in order. 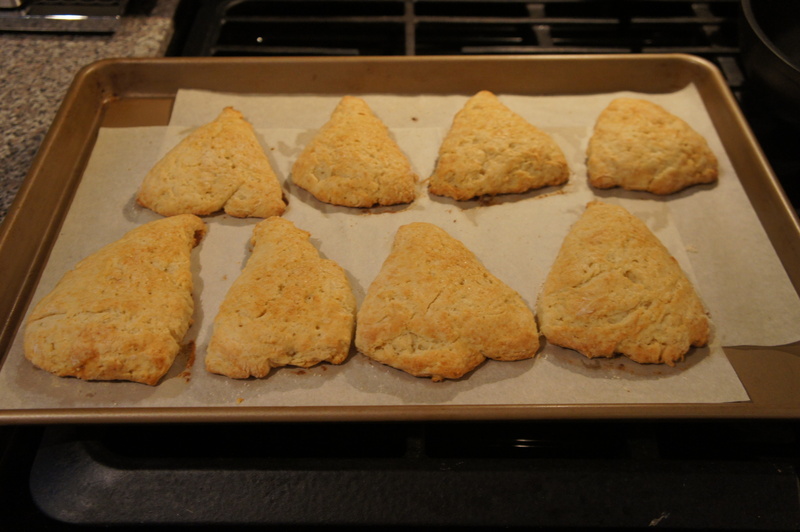 Of all the breakfast pastries, I think scones are my favorite to make. (Croissants may be my favorite to eat…) I have fond memories of bringing them along to brunches with friends and eating traditional ones with clotted cream and the works in London. 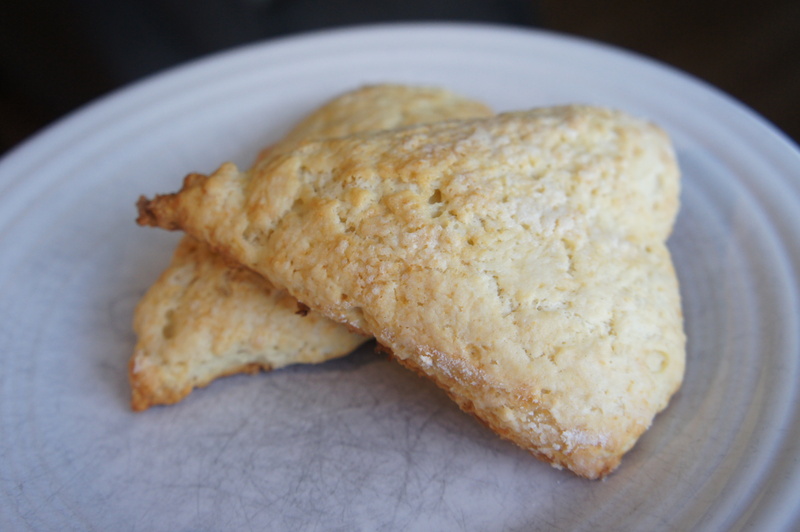 There’s something wonderfully simple about a scone. I prefer them plain with a bit of strawberry jam or honey. 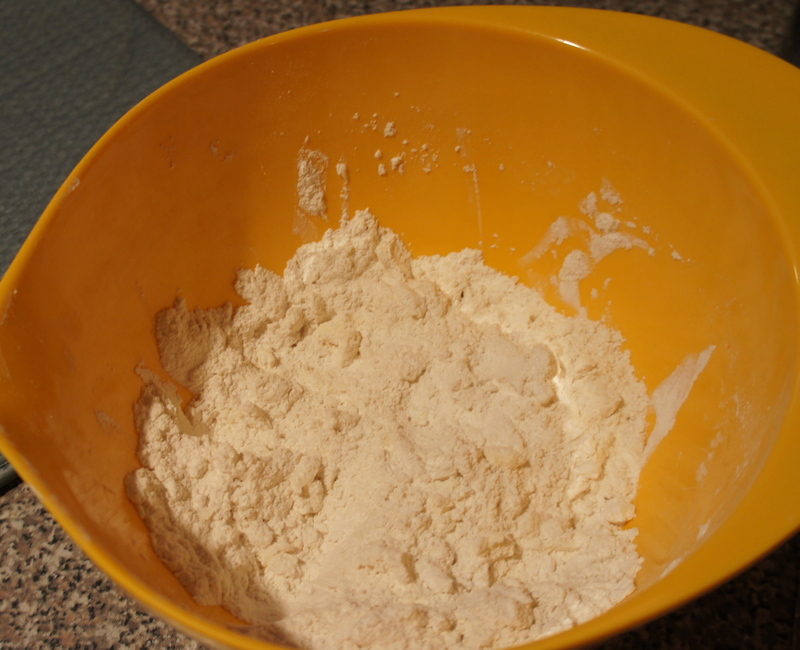 Mix together flour, sugar, baking powder, and baking soda in large bowl. Cut in cold butter using pastry cutter or two knives until mixture resembles course crumbs. In a small bowl, whisk together buttermilk and egg. Add to crumb mixture until just blended. On a lightly floured surface, gently knead the dough about ten times until it’s not longer sticky and formed into a circle about 3/4-inch thick. 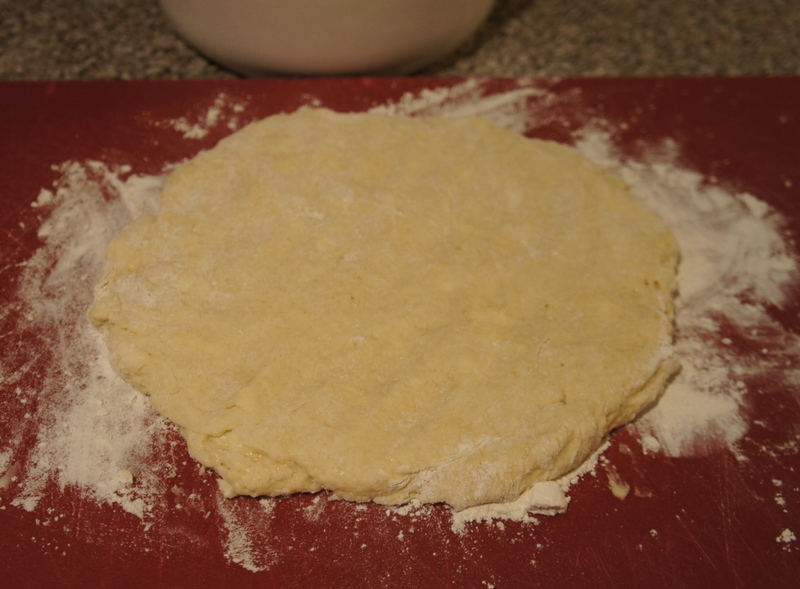 Using a floured knife, cut the dough into 8-pie slices. 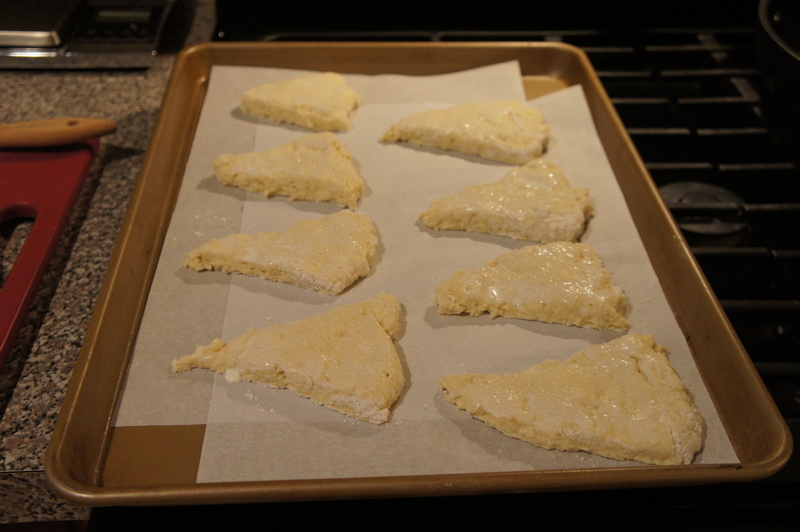 Place scones on a baking sheet lined with parchment paper. Brush the tops with heavy cream and sprinkle with sugar.